After falling from grace in past decades, mortgage loan assumptions are finding a place in the real estate market again. They may not suit every homebuyer or fit every seller's objectives, but a loan assumption might be the best choice for the potential consumers involved — provided, of course, the existing lender will allow an assumption of the mortgage. Mortgage loan assumptions were a popular financing option in the '70s and '80s but later lost their popularity. Real estate appreciation was strong during the latter time period. Before the housing market crashed in 2008, lender requirements were more lenient and many buyers took out 80/20 combo loans, which contributed to the collapse of the market. Continue reading for a deeper look into assumable mortgages. Too much equity. Part of the reason why loan assumptions were not utilized during the late '80s and early '90s was because during the boom years, sellers had too much equity and buyers didn't have enough cash to bridge the gap between the loan and sales price. This meant many sellers were unwilling to do owner financing. Low interest rates. Another reason that loan assumptions fell by the wayside for decades was because buyers usually could get a lower interest rate by taking out a new loan instead of assuming the existing loan. It made little financial sense to assume a 7 percent loan when the bank down the street offered 5 percent. Alienation clauses. 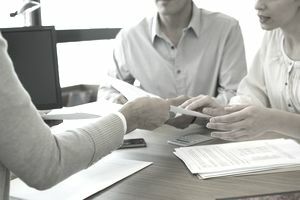 The main reason very few buyers pursued loan assumptions from 1990 through 2009 was due to almost every mortgage containing an alienation clause. An alienation clause gave the bank the right to accelerate, meaning demand immediate payment in full, in the event of title transfer. Compare interest rates. When interest rates are higher than the existing loan's interest rate, it could make financial sense to assume the existing loan at a lower interest rate. The difference in a monthly payment on $200,000 at 5 percent versus 7 percent is $257 a month. Over five years, that's a savings of $15,420. Compare loan fees. Because of federal TRID requirements, lenders are required to give borrowers a Loan Estimate, which is an estimate of closing costs. The Loan Estimate spells out all the costs associated with obtaining a mortgage. Generally speaking, buyers pay a lot more in loan fees to obtain a new loan than it costs to assume an existing loan. The difference could be several thousand dollars or more. Ask the bank to give you a statement containing its loan assumption fees. Obtain a beneficiary statement and copy of mortgage. Before taking the seller's word for it and spending money on home inspections, get a copy of the beneficiary statement to determine the unpaid balance of loan and whether the loan is truly assumable. In softer real estate markets, the difference between the unpaid balance and the sales price might be low enough that a 10 or 20 percent down payment will let you pay cash to the loan. It's wise to consult a real estate lawyer to learn more about your rights and responsibilities before committing to any creative financing options. Nothing is ever a slam dunk anymore.